Dr. Charmaine Ortega always appreciates feedback from her valued patients. To date, we’re thrilled to have collected 6 reviews with an average rating of 4.83 out of 5 stars. 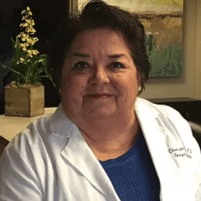 Please read what others are saying about Dr. Charmaine Ortega below, and as always, we would love to collect your feedback. The staff and treatment at St. Luke Integrative Medical Center are having an impact on patients with all forms of neuropathy. They treat patients with the utmost care and the treatment works! Highly recommend this medical treatment center. The people I came in contact with were very special. So nice to me. I am on very limited income and can afford only what medicare approves. I have a supplement that pays 100% that medicare doesn't pay (and I pay dearly for this supplement); but St. Luke's didn't accept medicare and the cost was more than I could afford. Pain was so severe that I could not sleep. After five week I am able to sleep and without a sock. I have seen a tremendous Improvement. The staff is very professional. Just started a few weeks ago. Staff is very compassionate to my pain and needs. Speaking to other clients I have hope in getting some relief.